During the month of November, which we all know is National Novel Writing Month, many folks will ask you why? Why are you doing this? What is the point? As the month progresses even your most ardent supporters may flounder as they grow lonely waiting for you to finish. You spouse may begin to think the laundry will never again be clean, and the clutter that will accumulate this month will start to take on a life of its own, and they will ask, why? To write a novel, of course. Your NaNo novel will be messy and in its infancy by December 1st. You will have plot holes large enough to drive a semi through and your character arcs may sag in the middle. On your first read through you will find entire paragraphs that were written in the wee small hours when you were running on fumes from your 15th cup of coffee and you will wonder what the heck you were babbling on about. It will be bad. But, have faith! Many have gone on to publish their NaNo efforts to great success! Mr. Howey was not a new comer to NaNo that year. He had successfully completed novels in November three years running. He was going into November 2011 armed with an outline and a plan. Then in October, his short novel, Wool, started to sell like hotcakes on CreateSpace, nearing the thousand units sold mark. All the reviewers were clamoring for more. 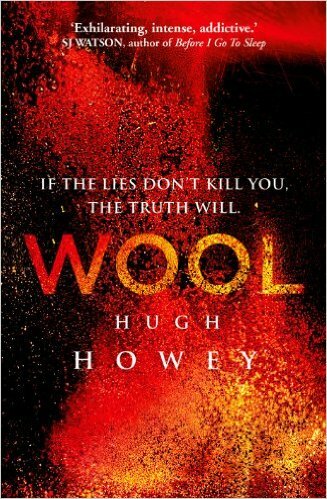 So he scrapped his original plans for 2011, and wrote more of the Wool story. To anyone still wondering why you are still doing this…. read them Mr. Howey’s quote below. What I do know is this: the festival of carpal tunnel that is NaNoWriMo has been the greatest thing to happen to me as a writer. For the past three years, it has led to books that I’ve been proud to publish. It has led to wonderful and lasting friendships. It got me in touch with my local library, made me feel like a hero to young writers, and taught me the importance of advertising my progress to the world. Even if publishing your work isn’t on your radar yet. If you simply got tired of saying “some day I want to write a book” and decided to try. NaNo will be the greatest thing to happen to you. An article on Tor.com said the following of Chris Baty, founder of NaNoWriMo. That is exactly the feeling I had when I crossed the finish line the first year I participated in NaNo, and that is the same feeling I have gotten each year after. If the book never becomes a reality, you can still say you did something that you never thought you would or could do. You will have found a deeper part of yourself. And for that alone, NaNo rocks! Hope to see you all at the finish line! !